Premier Promotions of WNY will bring their vastly popular and award-winning artisan market to the Rochester Dome Arena from Friday, April 13 through Sunday, April 15. This one-of-a-kind market includes only handcrafted items and features garden art, metalworks, vintage fashion, original wall art, custom furniture, designer jewelry, home décor, spa-quality bath and beauty products, gourmet foods, gifts for pets, stylish pottery and much more. Springtime in Rochester is the perfect destination for gift buying for Mother’s Day, spring birthdays or simply to indulge yourself! Shoppers are afforded the unique opportunity to connect with over 200 artisans from across the nation, learn about their considerable talents and purchase only handcrafted items, all while being surrounded by the sights, sounds and scents of springtime. Springtime in the Country Rochester will also feature emerging crafts such as boutique wineries, distillers and brewers. Hours for Springtime in the Country Rochester are 4 to 9 p.m. Friday, 10 a.m. to 5 p.m. Saturday and 10 a.m. to 4 p.m. Sunday at the Rochester Dome Arena, 2695 East Henrietta Road, Henrietta. Admission is $7 for adults and seniors and complimentary return passes are available at the event’s information booth. Children under 12 are free. Discount tickets for Springtime in the Country Rochester are available through Thursday, April 12 and may be purchased at the Rochester Dome Arena Box Office, open from 9 a.m. to 4:30 p.m. Monday through Friday, and other locations listed online at www.wnypremierpromotions.com. Parking is free. For 34 years, Premier Promotions has produced high-quality, extremely successful artisan events including Springtime in the Country, Christmas in the Country and Yuletide in the Country. For 2018, Premier Promotions has added Springtime in the Country Rochester and Christmas in the Country Rochester, both in the Dome Arena. The events are consistently ranked among the Top 100 craft shows in America by Sunshine Artist magazine. 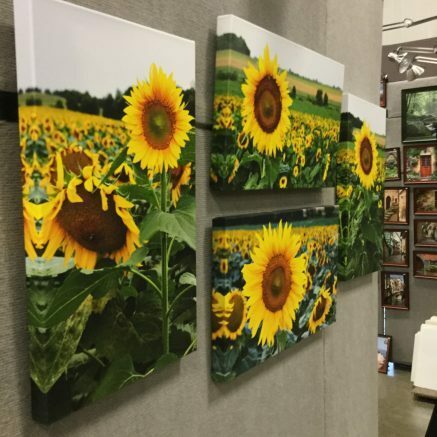 Last year, almost 100,000 visitors attended these shows, purchasing more than $4 million in original handmade merchandise and gourmet foods directly from the juried artists. Premier Promotions also has helped raise more than $1.4 million for Western New York charities. Be the first to comment on "Premier Promotions bringing Springtime in the Country artisan market to Rochester"